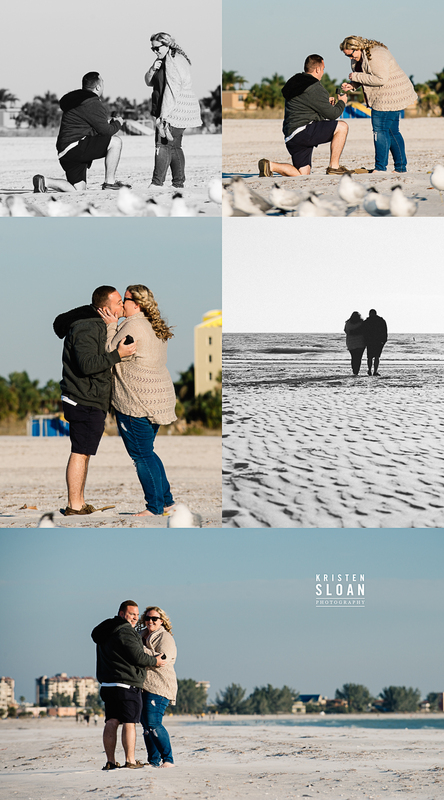 I am so excited and honored to have been asked to photograph this surprise beach marriage proposal in Treasure Island Florida! I am wishing this happy couple a warm congratulations on their engagement after witnessing and capturing such an amazingly romantic proposal. Thanks for letting me be the third wheel! My client Jon called me about 2 weeks before the couples romantic getaway weekend at the Marriott Residence Inn, Treasure Island FL. We communicated by email (with minimal texting to avoid being caught). I brought out and hid a bottle of champagne near the dunes for celebrating after their big moment. I could tell Jon was nervous (and honestly so was I!) and I waited on the quiet beach trying to make myself look like a tourist by photographing the seagulls with my long 70-200mm lens. 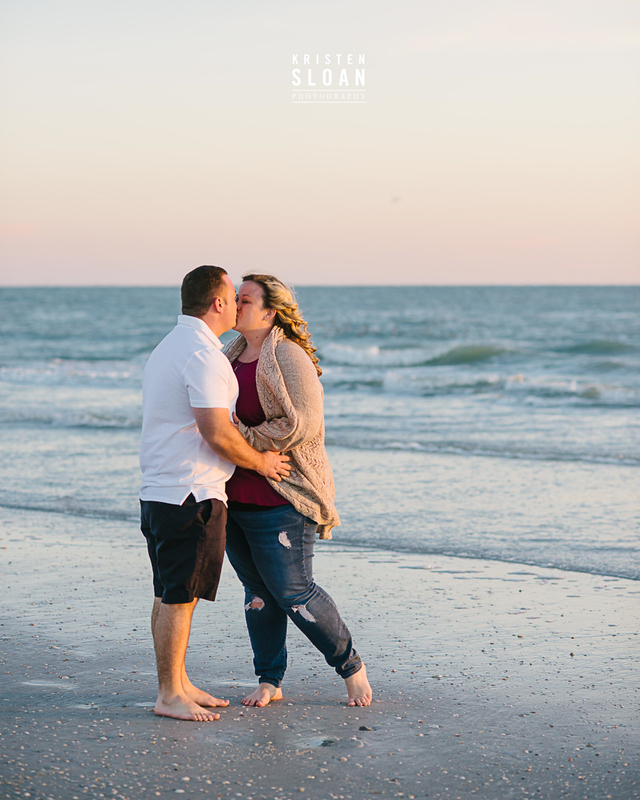 About an hour before sunset, Jon and Lauren walked out the back of the Marriott, right onto the beach. We had sent each other photos of ourselves so that especially I knew what this adorable couple looked like. And then the moment happened…..
At this point I gave Jon and Lauren time to themselves to walk the beach and soak in the moment. About a half hour before sunset is when the natural light is amazing on a sunny day with no clouds, so we walked to the large sand dunes in Treasure Island just steps from the Marriott. The sunset was beautiful with a few soft clouds to add interest. I used one Saberstrip on a light stand mounted horizontal for lovely “softbox” light and did a few dramatic shots with my nikon flash and the MagMod Sphere and Grid.